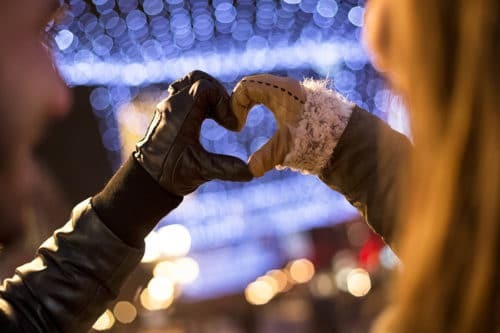 The 2018 Bentleyville Tour of Lights – Bayfront Festival Park shimmers with over 5 million sparkling lights in America’s largest walk through light display. Duluth Winter Village – The historic Glensheen Mansion hosts more than 40 local businesses at a charming outdoor village. Santa and his live Reindeer at Fitger’s – After some holiday shopping stop by the Fitger’s courtyard to visit Santa and his famous reindeer. Christmas City Express Train Ride – Join a scenic 90 minutes excursion along Lake Superior, that includes Christmas stories, carolers and special guests. Duluth Superior Symphony Orchestra – Take a musical journey during the “Home for the Holidays” performance with beautiful songs and costumes. The Nutcracker at the Minnesota Ballet – A holiday tradition, this gorgeous ballet has everything including drama, action, magic and a huge cast of beloved characters. The Santaland Diaries at The Underground Theatre – Adults will love David Sedaris’ modern day classic comedy recounting his hilarious time working as Crumpet in Macy’s SantaLand. It’s a Wonderful Life presented by NorShor Theatres – Keep your tissues handy while enjoying this classic movie on the big screen in the beautifully renovated historic theater. New Year’s Eve Journey at the Duluth Superior Symphony Orchestra – Ring in the New Year with a tribute to the Rock and Roll Hall of Fame band Journey. Chester Bowl Park – Beginners to advanced skiers will enjoy this nearby park with almost 2 miles of skiing and snowboarding trails. Spirit Mountain – In addition to 22 runs this 175 acre park offers fat tire biking and night-time tubing down colorfully lit trails. Day Trippers of Duluth – Choose from many guided winter trips from snowshoeing to cross country skiing or fat tire biking to iceberg kayaking. 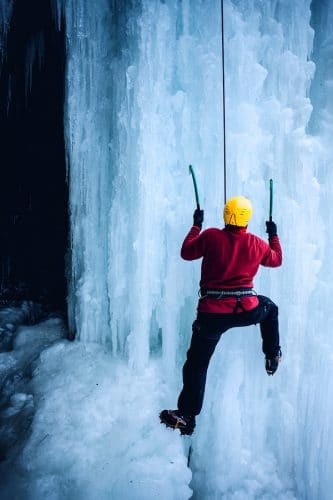 Positive Energy Outdoors – Try something completely new on the unique adventures found here such as ice climbing a frozen waterfall or on a dog sled ride through the snowy scenery. AMSOIL Snocross National – The action packed National Snocross season kicks off at Spirit Mountain at the 27th annual snowmobile race. John Beargrease Sled Dog Marathon – This nearly 400 mile event is a qualifier for the famed Iditarod race in Alaska and travels through the dramatic Sawtooth mountains. Duluth has all the adventure, magic and variety that makes an unforgettable winter vacation. And the Solglimt B&B has the perfect tranquil location that is still close to all the attractions. Book a Duluth getaway today and discover your new favorite vacation spot.